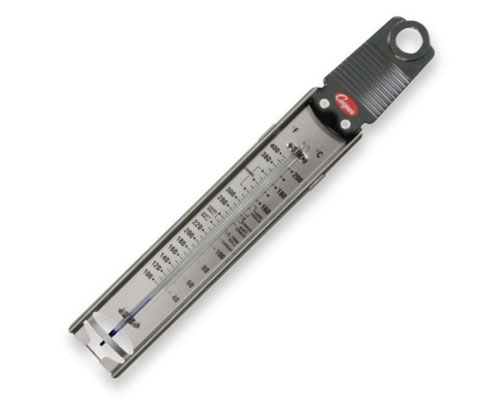 The Cooper Atkins Coil Spring Pocket Thermometer is perfect for soup kitchens, culinary school, steak houses, or other restaurants. Features a stainless steel construction with protective sheath with pocket clip and field adjustment wrench. Temperature range of 0°F to 220°F. NSF Certified. 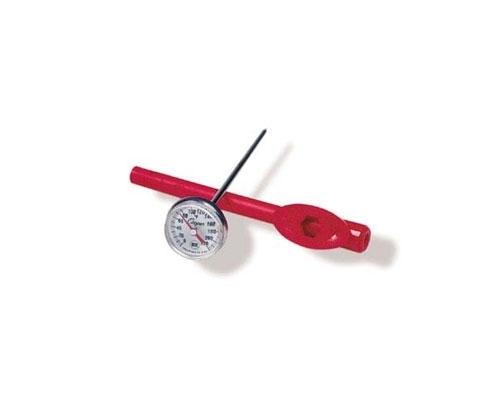 The Cooper Atkins Non-Mercury Candy Thermometer has an adjustable clip with an easy to grip black handle. The non-toxic tube is housed in a stainless steel construction. 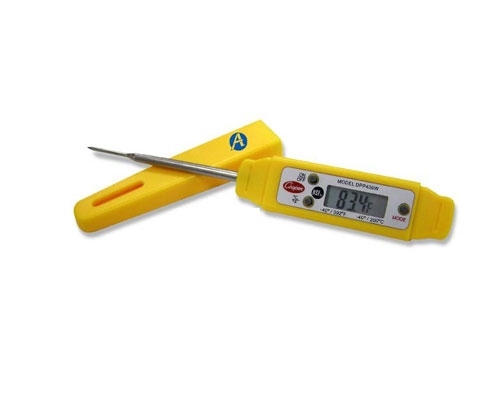 We HIGHLY RECOMMEND these as the best pocket thermometers available. They are guaranteed accurate for life and require no calibration. Should you ever have a problem with this thermometer, you may return it to Knife Merchant, or Cooper Atkins for repair or replacement. If you contact us, we will email you a shipping label so that you pay nothing. 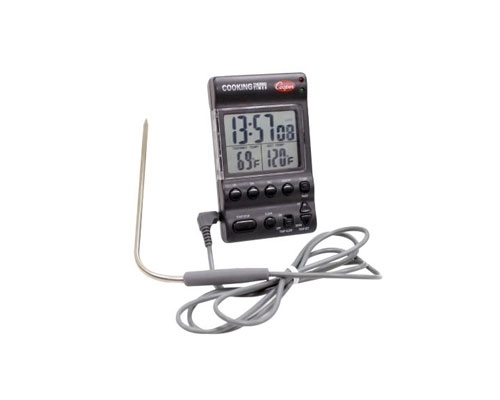 The Cooper Atkins Top Read Digital Thermometer has an adjustable alarm, is waterproof, and has an anti-microbial additive. 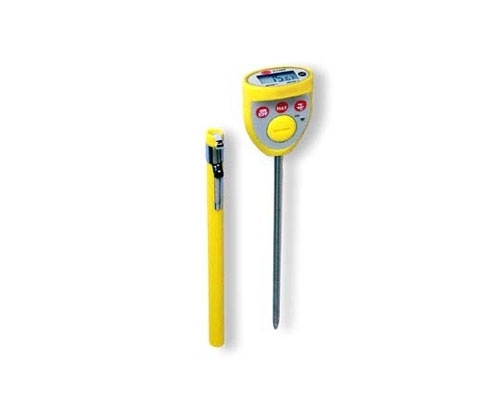 Features a min, max and hold modes, and can be used to test dishwasher temperatures. In other words, it can be programmed to record the maximum temperature reading that occurred during operation to verify that your dishwasher temperature is reaching the desired heat. Temperature range of -40F to 450F, NSF certified. Ultra-thin tip reads temperatures in six seconds. Most thermometers require at least 15. That's a long time to have your hand in a hot oven or to be waiting around in a busy kitchen. The Cooper Atkins Pen Style Pocket Thermometer is waterproof, NSF certified, and has an automatic shut off. Designed with anti-microbial additive to avoid bacteria growth and reduced stainless steel tip for a quick response time. Temperature range of -40F to 392F.